School Visits: Thank You, Virginia! I received a kind note in the mail yesterday regarding a few school visits I made to Virginia back in October. It included the article below, where my new shirt (that I’m still not sure about) figured prominently. Of course, I’ve done many school visits over the past 20 years. By the end of most visits, I feel like I’ve become friends with that librarian or PTA organizer — and later, of course, there’s rarely any more contact. Gone but not forgotten. The librarian who sent this note, Chris, made such a huge effort to make this trip happen for me, and for the students in her school. She simply would not be denied. I owe her so much. In the headline I wrote “Thank you, Virginia!” But what I really mean is: Thank you, Chris! School visits are an important part of my career. They help pay the bills, most certainly. They also get me out into the world, where I meet teachers and students and, hopefully, help make a small difference in every school I visit. It’s an honor and I don’t take the privilege lightly. 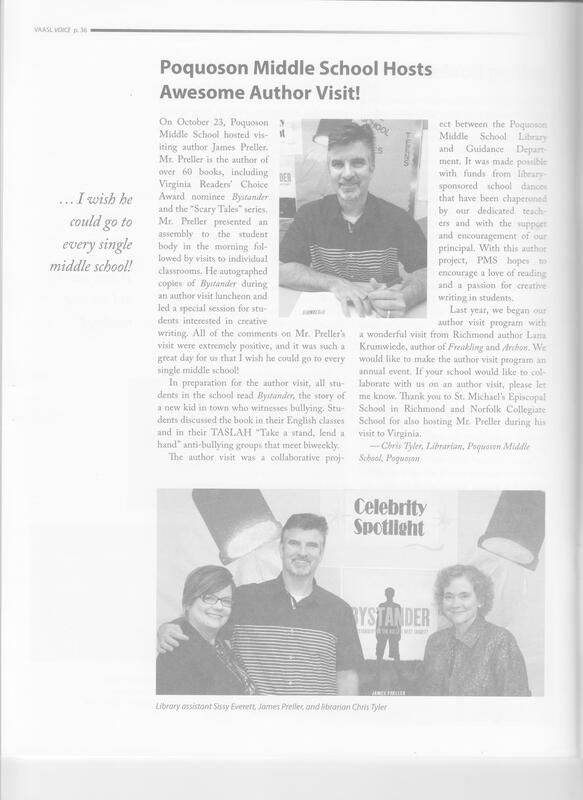 Here is the article about your visit to Poquoson Middle School. 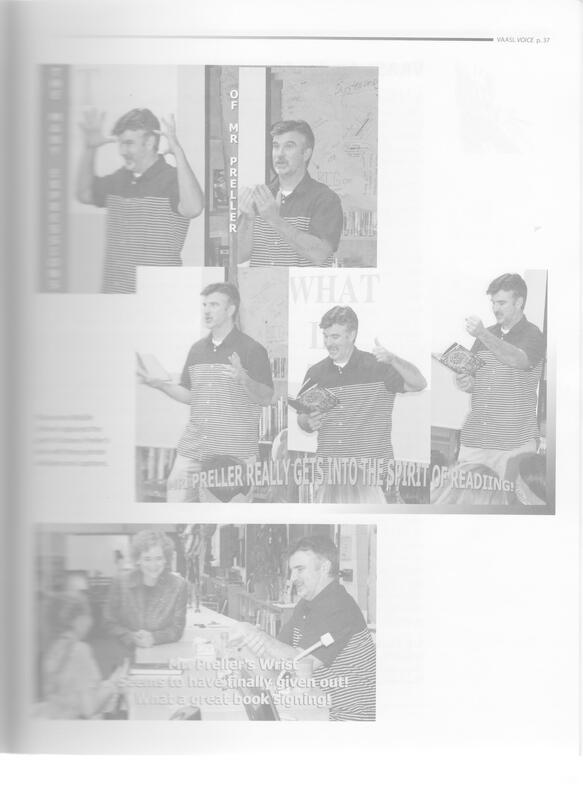 It was published in the VAASL Voice, our state librarians’ magazine, and was distributed to about 1300 librarians across the state. Your author visit has been a real highlight of our school year!